In December 2018, President Trump signed the Tax Cuts and Jobs Act (TCJA) into law. One of the things affected by the new tax law is the amount of your home mortgage interest tax deduction. Initially, the law was going to eliminate this deduction altogether. After several revisions and alterations, the final bill allowed homeowners to keep this deduction. However, some restrictions and limitations were put in place. Who Qualifies for the Home Mortgage Interest Tax Deduction? There's now a $750,000 cap on the deduction. That means that you can only claim the tax deduction on anything paid up to $750,000 total for mortgage loans. 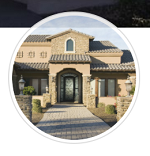 If your primary mortgage loan is $600,000 and your secondary mortgage loan is $300,000, you only get to deduct the interest paid on $750,000 of the $900,000 combined total. You (or your spouse, if filing jointly) must legally responsible for the mortgage. In other words, it must be a legal, binding contract that requires repayment. Handshake deals with your parents won't qualify for the deduction. The mortgage needs to clearly state that the home you're paying the mortgage on is security for the loan itself. For tax purposes, the IRS considers any property that includes a place to eat, a place to sleep, and toilet facilities to be a "home". That could be a single-family home, condo, mobile home, RV or even a boat in some cases. 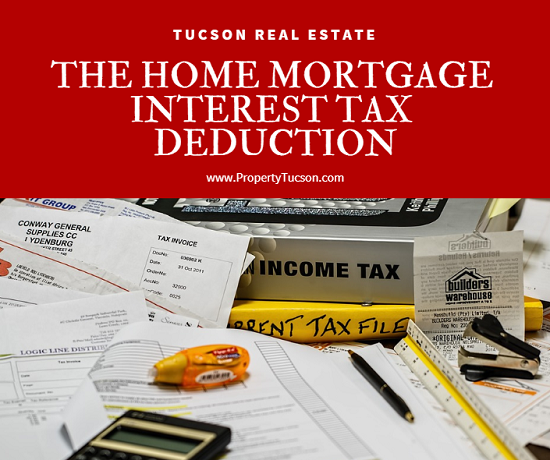 In the past, many Tucson homeowners itemized their deductions to get the most tax credit they could. That was because the standard deduction was lower. With the TCJA, your standard deduction essentially doubles. As of the 2018 tax year, single and married-filing-separately filers receive a standard deduction of $12,000. Head of household filers receives $18,000 as a standard deduction. Married couples who file jointly or qualified widows/widowers receive $24,000 as their standard deduction. Unfortunately, to claim your home mortgage interest tax deduction, you must itemize your deductions. That is done on Form 1040, Schedule A. How do you know which way is best? You'll need to itemize your deductions and then compare the total to the standard deduction. Then, you choose which one works best for you. If you have someone preparing your taxes for you, make sure they do this so that you know whether to take the home mortgage interest tax deduction or accept the standard deduction instead. You should receive a Form 1098 from your mortgage company sometime in January. This tells you exactly how much interest you paid last year. Being a Tucson homeowner comes with many perks. The home mortgage interest tax deduction is one of them. Talk to your tax preparer about whether or not itemizing for the deduction is better than taking the standard deduction when you file your taxes this year.